Paperless – a term that is used quite often now days. But what does it mean? And to what extent does it apply? Certainly we all still use paper to some degree despite the advancements in technology, so how can we go completely paperless? Well, the truth is, there will likely always be some form of paper, but the problem doesn’t lie in using paper itself, but instead having awareness for the amount used and methods of which it is being used for. All in all, despite the paperless tips that are presented to you in this article, ultimately it is up to you to make it happen. So as you read, think to yourself how you might be able to carry this out in your life. If there is something which you feel is likely not for you, instead of shutting the door completely, try pondering what it might take to make it happen. Often, the initial thought is that it won’t work, but usually after some serious thought and deeper research, you might discover some neat ways to make it happen. Printing can be beneficial, there’s no doubt about that. Sometimes it’s nice just to have the document in hand and sometimes it’s necessary to as well. When that’s the case, it’s important to know how to keep the printing costs as low as possible How To Keep Printing Costs As Low As Possible How To Keep Printing Costs As Low As Possible Let's get this straight - printing emails and documents is primeval! Not only does it cost money, it also wastes resources, storage space, and time. In fact, half of all pages printed are never used!... Read More . However, often we just click print without thinking twice. What are we really going to do with that receipt from the online shopping store that we just printed out? It’s nice to have it for the records, but does it really need to be printed? Probably not. “Printing” to PDF can be done with a variety of tools – some of which are browser plugins and others are programs. We’ve shared a couple of ways on MakeUseOf to do it with PDF995 Convert Anything to PDF using PDF995 Convert Anything to PDF using PDF995 Read More and Print To Pages in Firefox. Personally, I use Nitro PDF and highly recommend it as a PDF reader. It also includes a “print to PDF” application. However, you may not even need a program that does this. Google Chrome can save what you are printing right to a PDF. Other options are to use Google Cloud Print within Google Chrome to save to Google Drive. I might also note that Microsoft OneNote also has a feature which your computer recognizes as a printer and can send the document there. You might be familiar with the World Wild Fund for Nature (WWF). In their “Think before you print” movement, they have addressed a major issue – unneeded printing. Sure you might be go paperless, but how can you ensure others start as well? They have created a file format called a WWF – a PDF that can’t be printed. Once you’ve installed the software, you’ll be able to save files in this format. The format can be opened with any PDF file, but obviously not printed. If signing documents is a big reason why you print out documents, you might want to consider signing them on your computer. There are devices which you can purchase to do this and programs to help you easily do it. Many PDF readers, such as Nitro PDF or Adobe (eSignatures), have the features embedded in them. But there are many other tools which can do this too. Including, but not limited to: Hellofax, PDFPen, MyLiveSignatures, DocShaker, MiddlePost, DocuSign and SignNow. The choice is up to you what you use, but I encourage you to look into it if it is something you do often. If it’s more of “once in a blue moon” sort of thing, the tradeoff may not be as big, but if you are truly wanting to go completely paperless and it would make organizing your documents easier, then I recommend it. Perhaps you don’t have a smartphone (I don’t either) and if you don’t I will say from firsthand experience that going completely paperless is often difficult. However, if you do have a smartphone you can really take advantage of its “paperless features”. The first advantage to having a smartphone is simply that you always have it. This means that you don’t need to make sticky notes and plaster them all over your work area. Simply create a note in your phone (there are lots of apps that do this) and you don’t have to worry about forgetting that piece of paper you left on your desk with your shopping list, so and so’s phone number, etc. Also, there’s often the ability to set a reminder for notes in your smartphone – sticky notes can’t do that, especially if you lose or forget to bring them with you. Of course the same can be applied to tablets as well, however despite their portable advantages, they aren’t nearly as mobile as a smartphone. Lastly, the Evernote Web Clipper is a very handy tool for saving information. I will expand on Evernote a little more later on, but this tool is excellent. It’s available as a browser extension and bookmarklet, but of course you need an Evernote account to use it – which you should get! Web Clipper can detect and save articles or selected text. This means you can save just what you want to read and nothing else. There are so many things that clutter your mailbox, which lead to cluttering your desk or kitchen table – bank statements, bills, magazines, newspapers, not to mention newsletters and plain junk mail. How do you get rid of it all? Well, there are several ways you can cut down on mail, incoming and outgoing. The first thing you can do is notify your bank that you would like to receive statements by email. I don’t know about yours, but my bank is constantly promoting this – even to people like me who already have enabled it. You likely won’t even need to talk to your bank, but you should be able to access the setting within your online banking account. Instead of printing out forms, filling in the information and spending postage to mail it, many services, even government organizations, offer the ability to fill out forms and send them online. Many times they prefer this actually, so before you go into those crowded government buildings, try to see if you can complete the task from the comfort of your home. If you own a business, you likely have a lot more paper to deal with than the average homeowner. One way to cut this down dramatically is to reduce the amount of outgoing mail, e.g. invoices. Of course there are lots of other documents as well, but invoices seem to be one of the major ones. Your customers will likely appreciate your paperless efforts too. Instead of getting the daily newspaper, try getting just the weekly addition. Or better yet, cut it out completely. The beauty of the Web is that we have an endless amount of information at our fingertips. You can check all the big news sites on your own and get the information for free, so why pay for it? However, if you do still want the newspaper (because it does have it’s advantages), a lot of the major publishers allows you to subscribe to an electrical version. This goes for magazines as well. As a bonus, if you have an eReader, you can likely get them sent right to it! I’ve actually written an article on MakeUseOf How To Save Web Articles To Read Later On Your Non-Tablet Kindle How To Save Web Articles To Read Later On Your Non-Tablet Kindle We’ve all been there — you’re surfing the Internet and find a great article that you’d like to read. But there’s so much to do and you know you shouldn’t take the time to read... Read More on sending web articles (which might even replace the need for your magazines completely) to your Kindle. Believe it or not, you can get rid of a lot of that mail. Sadly, it might take some time, but there is an excellent resource on WikiHow that explains different ways to do it – numbers to call, organizations to write, and techniques to remember to do. Last, but certainly not least is paying your bills. It is probably one of the biggest ways to reduce paper and save time in the process. Often you can get email reminders from companies instead of mailings and you can even automate the process so you don’t even have to think about making the payments – just make sure you have the money in your account. The best way to convert your existing documents to a digital file is to scan them in. I recommend using the PNG format, as the JPEG format is lesser quality. If you have a large scanner, great, however if all you have is a smartphone, don’t worry – in fact, you might begin to prefer it over traditional scanners. There are many apps available to scan documents. Why can’t you just snap a photo with your phone’s camera? 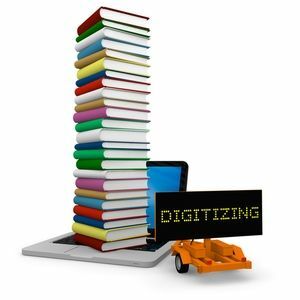 Well you can, however, you might find that many of the apps specifically created for scanning have more features that will result in a better scanned document. Now that you are scanning both your existing and new documents, you need to manage them. There are definitely some techniques and methods you need to use to do this and I have written an article about this on MakeUseOf as well. It’s crucial to your move to being paperless to make sure you start it right from the beginning – even if so far you haven’t been very good about organizing. After you have the fundamentals of organizing down, the software will be much more beneficial. There are a couple of different programs that I recommend. One being the all-famous, Evernote. In my opinion, it’s great. It’s not just a program for going paperless, it’s a program for whatever you want it to be – that’s what I love about it – it’s universal and it conforms to how you work. One of the big features of Evernote is its ability to detect text within images – otherwise known as OCR or Optical Character Recognition. This means that if you scan a document in and save it as an image, then later on search for something within the document, Evernote will scan and find the text within the image. 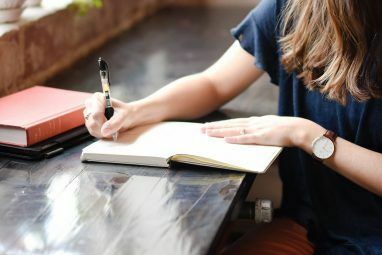 We’ve recently published an entire guide on using Evernote, so I recommend you check that out as well as become familiar with the other articles about it on MakeUseOf. The other tool is Doxo. It is focused on helping you go paperless and is an excellent tool to do so. You likely have more than one device and one of the benefits of going paperless is not having to take that paper note or document with you. However, having to copy and paste the document from device to device is almost more of a nuisance. Thankfully, there are plenty of cloud services to pick from to help with this issue. From SugarSync SugarSync: The Most Well-Rounded Free File Backup & Syncing Service SugarSync: The Most Well-Rounded Free File Backup & Syncing Service File backup is not a new conversation or topic by any means. If you search Google for “file backup” you will likely be overwhelmed by services and articles on the topic. It is a vast... Read More to Box to the “big three” – Google Drive, SkyDrive and Dropbox The Cloud Storage Showdown - Dropbox, Google Drive, SkyDrive & More The Cloud Storage Showdown - Dropbox, Google Drive, SkyDrive & More The cloud storage scene has heated up recently, with a long-awaited entry by Google and a revamped SkyDrive from Microsoft. Dropbox has gone unchallenged by the major players for a long time, but that’s changed... Read More , you have a lot to choose from. In addition to these different things you can do, in reality it is all up to you to go paperless. Just like managing your files, if you don’t make the effort and have the right things in place, it won’t work very well. I would like to refer you to this article on LifeHack which addresses that even more. I feel it’s quite important to get that established before any techniques or other methods are tried. Other things you can do to go paperless are to simply go to the library and borrow a book instead of buying it. Recycling is very important and can be done more than just the traditional way, but also by using both sides of the paper instead of using a new sheet. Reusing it as scratch paper or other purposes is great to do too. Make sure not to overprint. Remember – “think before you print”. Also, before you print a document, see if adjusting the font size and type as well as the page margins reduces the number of pages. Of course, some documents, whether for school or professional purposes, require a certain format and layout. These things can’t be avoided, but do remember to refer back to Tina’s article, which I referenced to earlier, on how to cut printing costs. Other ways to cut costs when printing from the Web are to use websites like PrintWhatYouLike and PrintFriendly to remove everything from the page such as ads, additional images or links, etc. so that you only get what you want on the page. Lastly, you need to backup. Now. Don’t put it off These Guys Didn't Back Up Their Files, Now Look What Happened These Guys Didn't Back Up Their Files, Now Look What Happened If there is anything I learned during those early years of working with computers (and the people that use them), it was how critical it is to not only save important stuff, but also to... Read More . 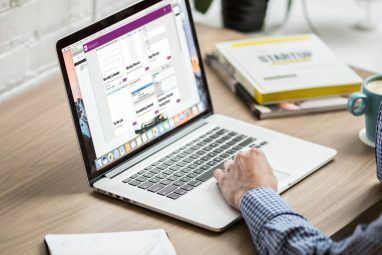 One of the benefits of going paperless is having backups in case something were to happen to the original file, so make sure you don’t put this off. I thought this video could be quite helpful in getting you started in the direction of going paperless. The video is from SmallBusinessDoer [No Longer Available] and the founder of DocumentSnap. Have you gone paperless? If so, how has it changed your life? What are your overall thoughts on going paperless? Explore more about: Green Technology, Note-Taking Apps, Printing. Great article, a lot of tips I haven't thought of but am going to use. very useful tips. I would like to share this article to my team in the office. We have a limited storage to keep all of our filing. scan file than copy it, using both side of paper, using email than manual fax machine. I do feel an affinity with you! I have used Nitro PDF for a while now (I am currently using Professional Version 8). I really love it and highly recommend it! The software gets better with every new version. Since printing to PDF I have not had to use an ink jet printer in I don't how many years. Also: I consider myself a savvy computer user as you are SO I was most gratified to learn that you also don't use a smartphone or use an Apple Mac! Well . . . Thanks for Listening. Thank you very much for sharing this with us. Surely we're all need to go paperless to give a future to our planet and save trees! one of the interesting thing about your newsletters is "tip of the day".It is highly informative and interesting.thank you very much. You're absolutely right. There are so many things that will take a while, or may never go, paperless. However, like you said reusing paper and simply being less wasteful is a great way to go "paperless." Just reading stuff on Wikipedia (or other online encyclopedia) is a good and simple idea. I like the addition! Thanks for reading! I would have never imagined a paperless world. I remember being younger growing up in Southern CA we allways had to keep a record of everything we had. Now a days you can pay bill with your PDA. In real estate now you can unlock a door with a wireless signal in efforts to show open houses. Amazing! The is another tool for organising your scanned documents ... small simple stable and nice lookung UI. I like it becasue you can use it from Windows, MacOSX, ... and the way the documents get organised is very nice! :-) And even if you want to access the documents without the application ... you just brows through the organices folders. The only thing that is missing if you dont use the app is the compfort of the nice UI!!! Great article. LOVE the paperless office! I do a bit to be paperless but when it come to morning paper I gave up. The screen is too small to get an overview and I just go for the article I know in advance that I're interested in. On paper I notice headlines and introductions on more stories - it makes me more informed about a lot of things. Finally sitting outside in the sun with morning paper and a coffe is great but with a screen you need to find a place where the light is right for the screen. Great points here. Again, we can't ever go completely paperless. For some it works better than others. That said, the Kindle is the perfect solution to sun glares on screens and I've written an article about ways to send web articles to your Kindle so you can take what you find on your laptop on the go in a more portable way... and even in the sun perhaps without suffering from the glares. If you'd like me to send you the link to the article, I will happily do so. Thanks for your thoughts and for reading! Do you have any idea how many forests this will save? Technology is a real friend of the environment! At the risk of blowing this feel-good post out of the water, it's pretty much been proven that recycling doesn't do what everyone wanted it to do or thinks it does. Aluminum and metals I think are the only items worth recycling. Other than that, it's wasted money. And the poor trees everyone is trying to save? It's supply and demand. They GROW trees specifically FOR our paper usage. We use less, they'll grow less trees. Google 'Mobro 4000' for a history on why this nonsense started. I appreciate your comment. Like I said to Harry. This isn't about saving trees. It's about making things more organized and hopefully saving time and money. Going paperless has tons of advantages. The whole "save trees" movement has kind of discredited it in my opinion. This is really informative. PrintFriendly.com is really good at clipping stuff that's not required. Great job! Thanks! I agree - I've found it quite useful. I understand that printing less lowers costs, especially if we choose what to print. However, important documents are always worth printing, "just in case", as long as you have space to keep the paperwork. Also, printing on paper saves trees. Stop printing (or keep on using recycled paper) and you are saying to Paper mills that they don't need to plant trees anymore to make more paper. So... the more paper you use, the more trees are needed. We have more trees now than we did 100 years ago. You are correct, sir! Not to mention the employee of tree farmers and workers. Harry I certainly am not opposed to printing important documents. Which is why I talked about efficient ways to print and not just going completely paperless. In my opinion, printing less is still going paperLESS. And saying that you never need to print is simply unrealistic. However, it's not just about saving trees, but saving our budgets. Humans are consumers - we always will be. So I'm totally for using more trees as long as we are planting them (which we are). But I'm always for saving those green bills that seem to be so sparse. Reusing pieces of paper on the other side is just one small way to do that. Thanks for your comment and for reading! Do you agree or disagree? Can I print this article? Wonderful article and wonderful advice but it does little to stop, or even slow down, bein innundated with paper. You do not advice or even address how to curtail or eliminate the main obstacle to paperless life and that is UNSOLICITED JUNK MAIL.. If I could eliminate junk mail from my mail box, it would mean at least 80% less paper I have to recycle. I'm sure that goes for everybody else with a snail mail address. Unfortunately since stuffing a mailbox with unwanted ads and solicitations is constitutionally protected by the First Amendment's Free Speech clause, we can look forward to being innundated with paper ad nauseam and ad infinitum. You might be interested in Paper Karma, which attempts to take you off junk mail mailing lists. Actually, I did address this in the article. There's the main title "Cutting Down On Mail" and then several subtitles follow. One of them being "Unsubscribe From Mailing Lists." To go into more depth of this would really require a whole article, so instead I mentioned it and linked to another article on the Internet which explains ways you can go about doing this. Going to bookmark this article. A lot of info to work with. Thank you. A word of caution for US readers. The IRS still wants all the paper documents kept as back up for your tax returns for I think it is 3 or 5 years but I keep mine for 7. So yes paperless is lovely but I still advise people to make a paper copy and file it in case of disaster, which includes a visit from the IRS! And perhaps after reading many of the comments with this concern I should have prefaced it more clear that we can never go completely paperless. It's why I included the section about printing efficiently instead of not printig at all - because there's always important things to print. Even for businesses, sometimes it's required that they have paper copies of things even if they are paperless in other ways. I have been hearing about "paperless office" and "paperless society" since computer became popular in the 1960's. Rather than eliminate or reduce paper, computers have increased the flood of paper. When the users no longer had to create reports by hand but could have programs generate them ad infinitum, they went bananas. At my job, we got rid of the computer room printers and created all reports electronically, but we made the mistake of letting the users slice and dice the reports on their terminals. The users like that so much that instead of storing their versions of reports on their hard drives, they printed them. Their desks and offices would be full of stacks and stacks of paper. As Andrew Jordan points out, IRS requires hardcopy records to be kept 3-5 years. Federal requirements call for periods of anywhere from 3 to 14 years of retention, depending on the type of record. Payroll records are to be kept at least 7 years. Health/medical records are to retained for at least 14 years. For the longer retention periods paper offers the most durable medium of storage. So, unless magnetic and optical storage media can be made to last decades rather than years, paper is here to stay for a long time. Actually, the IRS has allowed both electronic filing and electronic receipts since 1997. For years the Mac has a "pdf" button on the bottom left corner of the print dialog (any program) to print to pdf, email as pdf, and a few more. That's interesting! I'm not much of a Mac person so I didn't know that fact, but I find that a very useful tidbit. And that is standard on all Macs? That's great to know! Too bad I'm not more familiar with Macs, I would have definitely added that in the article. But thank you for sharing this insight in the comments Silvia! Great article one I will share with my friends and acquaintances. I've used both Nitro PDF and Cute Writer for a number of years and it sure cuts down on using paper. I also like using Evernote and it an excellent way of organizing all your documents. Thanks for reading Denis! Yes! Spread it around! "We" (as in people in general) talk about going paperless... usually while printing something out. My point is, it must be a part of our daily thinking for it to truly work. I think I will print this out and save it for later... J/K. Maybe I missed it in the article, but with Word/Excel/PP, you can save the file as a .pdf as well. Built in feature since Office 2007. Yep! You're right! You didn't miss that because I didn't put it in there. :P But that too is another good method. You have no Idea how F*** you will be if the bank or merchant, or credit card company makes any kind error, miscalculation, of if you become the victim of identity fraud. And then they callously ask you to produce printed proof of your account status, balance, receipt of payment or posting of anything..
Wake up folks we're not in the promised land just. Though it is quite a cost saving to the vendors, banks etc. Imagine how you would prove t a credit card company that their claim is wrong, that the money is yours, without a paper trail. Ina legal proceeding, what lawyer would take a case with out documentation, What judge would side with you. I have scanned ALL documents that I wish to keep. And I have shredded all originals -- except for my birth certificate, driver license, passport, social security card, college diploma -- and title/grant deeds to my car and house. For tax purposes - the IRS has allowed electronic filing and receipts since 1997. As do insurance companies for claims purposes. Scanned receipts are photos are acceptable. So we are OK. We are not F***, truly or otherwise. looks interesting, going to review it and see if it something my wifes business can use. Glad to hear that! It's a perfect addition for all businesses. I would love to better be able to be paperless. I think I'll give evernote a more comprehensive try. Glad to hear that Scott! I will say though that going paperless isn't just the use of a program like Evernote, but an overall thinking... and even a change in thinking. Tools like Evernote can help, but if you don't have the incentive or ambition to find ways to fit the thinking of going paperless into your daily actions, it likely won't happen. Thanks for reading and the best of luck! Awesome article, but hey why dont you make a pdf guide of this article.It would be nice to have it including some more tips. I like that idea! And I've forwarded it on to the authors who write the guides to see if there's anyone interested. Hmm. Did you try again and did it work? You should be able to! I always recommend using Buffer which has a browser extension so that if a site's sharing buttons are not working properly, I can still share the article. Check out Zumbox (dot com). Start receiving bills and statements etc. to an electronic mailbox. Save more paper. Thanks for the recommendation! I'm going to look into that. I only read the printing part, because I had problem with that. But now I know what to use and what I'm not going to use. Glad to have helped! Thanks for reading!